Athens is an historic city, strategically located at the crossroads of Europe, Asia, and Africa. It is the hub of influence for all of Greece, and tomorrow's leaders are flowing through its universities. Despite it's ancient Christian heritage, only 0.3% of Greeks identify as evangelical Christian, and the opportunity is great to engage a new generation of Greek students with the gospel of Jesus Christ. Campus Outreach has been invited to partner with a local network of gospel driven churches to reach university students for Christ. The harvest is plentiful, but the laborers are very few in Athens. CO is sending its first pioneering LEAD Team to Athens in the fall of 2019 to learn the city, minister to students, serve the church, and make a lasting impact for for the glory of Christ. The campus is a segment of Brazilian society with almost no evangelical ministries among college students. Relational campus ministry is a great way to reach this growing demographic in Brazil. Also, we are looking for native speakers to teach English as a means to meet and invest quality time in students. Campus ministry and teaching English provide opportunities to build relationships and generate momentum for the ministry. We also need laborers gifted in administration, finances and communications to advance the mission of the ministry. Your investment can enable the ministry to function more effectively and serve the team by expressing your gifts. As England’s second largest city, Birmingham is strategic location for LEAD teams to influence. Birmingham is famed for it’s diversity and is home to major populations from Pakistan, Bangladesh, India, Africa, the Caribbean, and other parts of Europe. Birmingham is the “youngest” city in all of Europe with 40% of its population under the age of 25. It is a city on the rise and continues to grow alongside London as one of England’s most desirable locations. Tucked within Birmingham are three elite Universities which CO LEAD teams have an opportunity to influence. Campus Outreach is partnering with City Church Birmingham and their church planting movement--“Birmingham 2020”--to advance and grow the ministry on these campuses. We are praying and working towards seeing Gospel movements multiply and spread throughout this city and throughout the UK in the years to come! The need for Christians in Australia is great. There are over 1 million university students across the country, with very limited exposure to the Gospel. Although 12 million Australians claim to be Christian, less than 10% regularly attend church. The University of Queensland is consistently ranked as one of the top 50 universities in the world. It is located in Brisbane, Australia’s 3rd largest city and the capital of the state of Queensland. Our hope is to see God bring Australians to Christ, and grow them into lifelong labourers. Building labourers is a team effort in Brisbane. We have a great team, but with over 50,000 students at The University of Queensland there is a great need for the next generation of staff to help us relate and connect with students. Chiang Mai is an international city located in the mountains of Northern Thailand. The city has multiple college campuses. LEAD opportunities consist of serving as campus staff on a campus and working alongside long-term Campus Outreach staff in order to reach Thai college students for Christ. 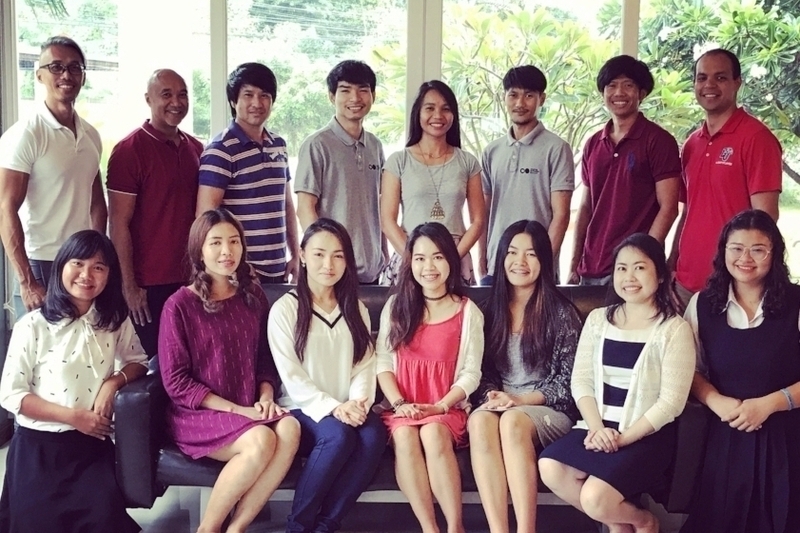 Besides serving on a campus, the Chiang Mai LEAD opportunity will continue to develop the participant as a leader in an overseas context through trainings and real-life experiences and responsibilities. New Zealand has a rich history of both Christian founding and heritage in addition to bold missions and ministry, but in recent years much about NZ's spiritual landscape has changed. Most "Kiwis" are proud to say that their country is among the world's most secular because while spiritual and religious practices are varied, more and more New Zealanders today claim to have no beliefs. Less than 5% identify as evangelical Christians, and they faced increased opposition from a society that grows even more spiritually apathetic. Christchurch, the largest city on the South Island, is a city marked by growth and change. What used to be seen as the urban seat of traditionalism -- in touch with its English upper-crust origins -- has experienced great shift, growth, and rebuilding ever since the major earthquake of 2011. Laborers in Christchurch, "the Garden City," have great opportunity to be working with students who will help shape a city and country that are changing and being rebuilt, and to be living, growing, and serving in a community and church that seeks to see God change Christchurch for His glory, now and in eternity. 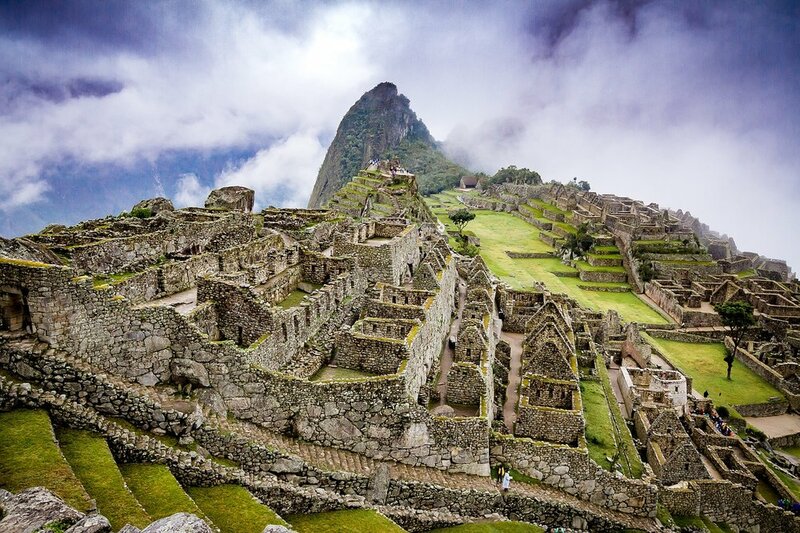 Cusco is a strategic South American city of 500,000 people and the historic capital of the Inca Empire. 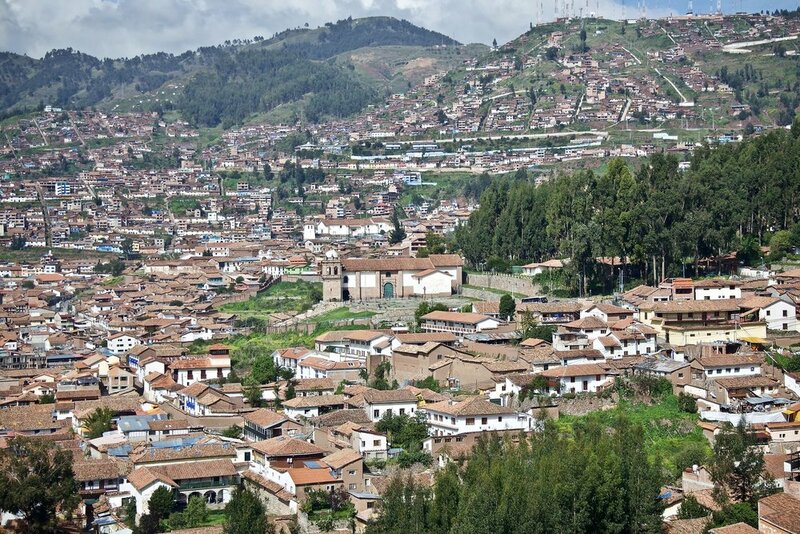 Close to 90% of Cusco's population affiliates themselves with being Culturally/Familiarly Catholic, although its Incan heritage has led to a mixture of Catholicism and indigenous beliefs (syncretism). The campus ministry in Cusco focuses on the two largest Universities in Cusco (UNSAAC and Andina). Together they include more than 40,000 university students pursuing various types of professional degrees. Most students have never heard the Gospel. Our Cusco ministry partners with our local church plant (Fuente de Gracia) as well as our team medical clinic (La Fuente Centro de Salud Integral) to help foster and grow relationships with university students. The opportunity to serve in our campus ministry along with exposure to our medical clinic presents a unique opportunity for LEAD staff with a medical background. The work is great and the laborers are few. Help us build the next generation of laborers who strive to make disciples who make disciples. New Zealand is a country of 4.3 million people, with less than 5% being evangelical Christians. “Kiwi” society is increasingly post-Christian and secular.Other religions are far less a threat to the Church than basic unbelief. There are eight universities throughout the country with over 130,000 students enrolled. God is doing a good work in New Zealand through the Grace Presbyterian Churches of New Zealand (GPCNZ – http://www.gracepresbyterianchurch.org.nz) and the Campus Outreach ministries in Dunedin (www.engage.net.nz). Currently, the biggest area of need for the ministry to grow in is in broadening the top of the ministry funnel in Dunedin. 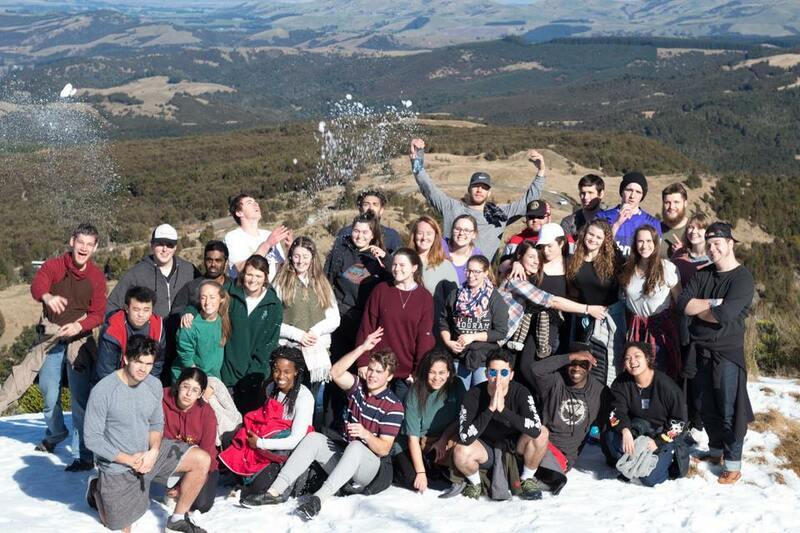 Full time Campus Outreach staff and US LEAD Staff currently serve in Dunedin and Christchurch; and there are ongoing opportunities for US LEAD Staff in these two locations. Being a LEAD staff in South Africa will allow you to serve within an ethnically diverse team with open access to the university campus. The Johannesburg team is made of 23 South and 7 American's. South Africa is ethnically diverse; 11 official languages for example, and yet english serves a common language for most people and is what is primarily spoken on the university campus. LEAD staff positions with Johannesburg will accelerate the core ministry priorities of indigenous leadership development. Covenant Christian School desires to provide a Biblical worldview education to children of Christian parents/guardians of all ethnic heritages in the English language, equipping them to serve God and society to their fullest potential. Our school currently functions as a home-school cooperative, as we have found that home-schooling together builds community and accountability. All of our families are serving the Church in some capacity here in NE Thailand. We need teachers to come teach at our school full-time, thereby serving the parents and freeing them up for ministry among the unreached community. Manila is one of the most strategic locations in the world for LEAD teams to be positioned. The country of the Philippines sits on the doorstep of all of southeast Asia. It is one of the only countries in this region where we can legally and aggressivly build Gospel movements on college campuses. Within the Philippines, Manila is known as the "King" of all it's cities. As one of the most densely populated cities in the world, it contains the country's top 2 Universities, as well as being the hub for all political and financial activity for the Philippines. The Filipino people are known as "courageous asians" due to the fact that millions of them leave every year to live and work abroad. To have an impact in this city, among the leaders of the next generation is a opportunity of a lifetime! Located just 140 miles from the Texas border in northern Mexico, Monterrey is an influential city of 4 million people and is home to some of the top universities in Mexico and Latin America. Over 200,000 college students live and study at numerous campuses in the city--with zero registered Christian ministries! The needs are great, but the strong cultural and spiritual history of Mexico has created fertile ground for the Gospel of grace to take root. Currently, CO has started ministry at Tecnologico de Monterrey (Monterrey Tech), widely considered the top university in all of Mexico. We are trusting God for LEAD Staff to partner with CO Staff on the ground, to help pioneer ministry at Tec, and to explore other campuses in the city. Monterrey presents an opportunity to lay the foundation for a movement of the Gospel among Mexican college students for generations to come!